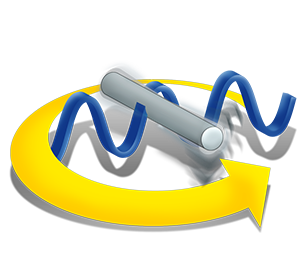 Do you protect your rotating sys­tems against dam­age? 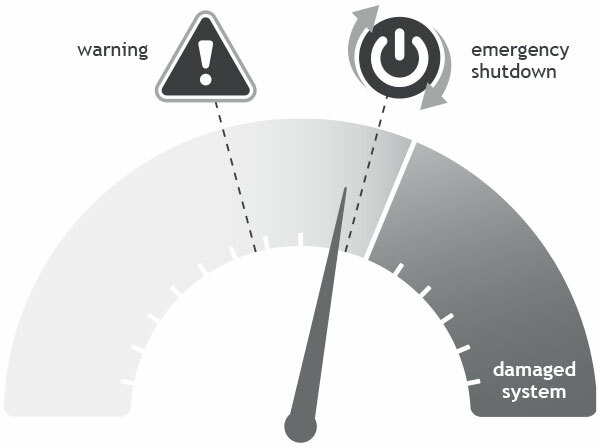 V-Sens de­tects faults and, if de­sired, au­to­mat­i­cal­ly shuts down your sys­tems. This ex­treme­ly small and ro­bust sen­sor has been de­vel­oped for di­rect con­nec­tion to a PLC. With its 4 to 20 mA out­put it prompt­ly shows the er­ror sta­tus of en­gines, pumps, sifters, cy­clones, mills, or kilns. Ad­di­tion­al­ly, this sen­sor can pro­tect many dif­fer­ent units in com­bi­na­tion with thresh­old val­ue switches by shut­ting the sys­tem down. Wher­ev­er ex­cep­tion­al os­cil­la­tions in­di­cate crit­i­cal op­er­a­ting con­di­tions, V-Sens can be used as a cer­tain in­di­ca­tor. Fol­low­ing the ISO 2372, VDI 2056, BS4675 (part 1) stan­dards, the sen­sor sys­tem de­liv­ers a sig­nal which is pro­por­tion­al to the vi­bra­tion ve­loc­i­ty. Com­ing with a 4 – 20 mA out­put in­ter­face, the sen­sor can be con­nect­ed to any mon­i­tor­ing sys­tem (con­trol sys­tem, PLC, lim­it switch). Thanks to its ro­bust hous­ing and the re­sult­ing high pro­tec­tion class (IP 67) the sen­sor can be used vir­tu­al­ly any­where.